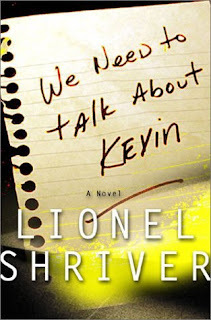 Eva never really wanted to be a mother - and certainly not the mother of the unlovable boy who murdered seven of his fellow high school students, a cafeteria worker, and a much-adored teacher who tried to befriend him, all two days before his sixteenth birthday. Now, two years later, it is time for her to come to terms with marriage, career, family, parenthood, and Kevin's horrific rampage in a series of startlingly direct correspondences with her estranged husband, Franklin. Uneasy with the sacrifices and social demotion of motherhood from the start, Eva fears that her alarming dislike for her own son may be responsible for driving him so nihilistically off the rails. I would say that it's pretty rare that I don't finish a book that I start. Once I start a book, whether it's good or bad, I feel compelled to finish it. Sometimes, though, I find a book that I just cannot get through. 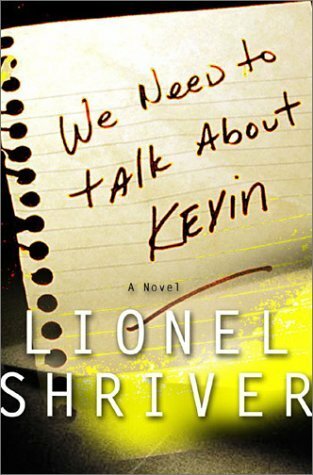 Unfortunately, We Need to Talk About Kevin is one of those books. I made it through about 14% of the book (thanks Stanza for allowing me to be weirdly specific with my percentages) and I'm surprised that I was able to make it that far. I feel badly about not finding the strength to finish this book, especially because it's one I really wanted to read. The thing that sticks out for me was the writing. Shriver goes overboard with flowery language. While it might have been okay for Shriver to write while thumbing through a thesaurus the entire time, I dislike having to spend so much time looking up words in a dictionary while reading. Don't get me wrong, I love expanding my mind and learning new words, but every third word is ridiculous! In general, this is probably what killed the book for me. It was too much work to get through the book. Since I wanted to read this book so much, I am going to watch the movie. I'm keeping my fingers crossed that it isn't as painful as the book.